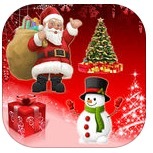 These fun and festive apps are sure to get you in the holiday spirit. Elf Yourself is a quintessential Christmas app. All that the user has to do is take a picture of either themselves or a friend and adjust it to the desired dimensions. Then instantly they can see up to 5 of their friends or themselves in an elf’s body wearing ridiculous outfits and dancing with each other, even riding on kittens! 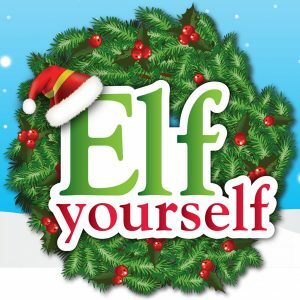 Every year around the holidays, Elf Yourself rises again, and each year it’s just as funny as the last. For Christmas enthusiasts like myself, the wait to December 25th can seem to drag on for ages. 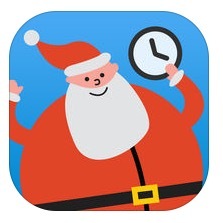 With this app, you can see how many days, hours, minutes, seconds, breaths, and even heartbeats are left until Christmas. The user can even get weekly notifications from the app! Additionally, if all these features weren’t enough, the app adds Christmas emoticons to the user’s keyboard. With a fun and easy-to-use format, this countdown is the one I’m sure to count on. Similar to the Christmas countdown, this virtual menorah is sure to get those who celebrate Hanukkah pumped up for the holiday. In the app, the user can select a modern or traditional menorah and a unique background to fully customize the layout. 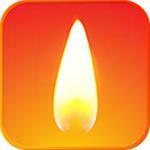 This app lets the user bring Hanukkah with them wherever they are. 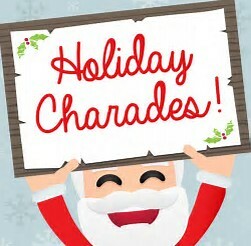 With cute stickers portraying Santa, elves, reindeer, snowmen, and so much more, these emojis will certainly add a little seasonal spice to your text conversations. My only criticism of this app is that instead of showing up in your keyboard like most emojis, the emoticons are only able to be used through the app, meaning if the user wished to send an emoticon, they would have to exit out of the messages app and open the Christmas emoji app. Other than that, the emoticons are adorable and festive, with a wide selection in a range of different styles. This app is sure to be a hit at your next holiday party! For those who know and love the game Heads Up, this free game is similar, but with an added festive twist. The way the game works is the user first selects a holiday-themed category for their friends to act out. The user then places their phone on their forehead, with a group of their friends around them so their friends can see but they cannot. The screen then flashes topics on the screen for the friends to act out, and hilarity ensues! No matter which holiday you celebrate, there’s an app for everyone this wintry season.